This is a story about the history of South Carolina. 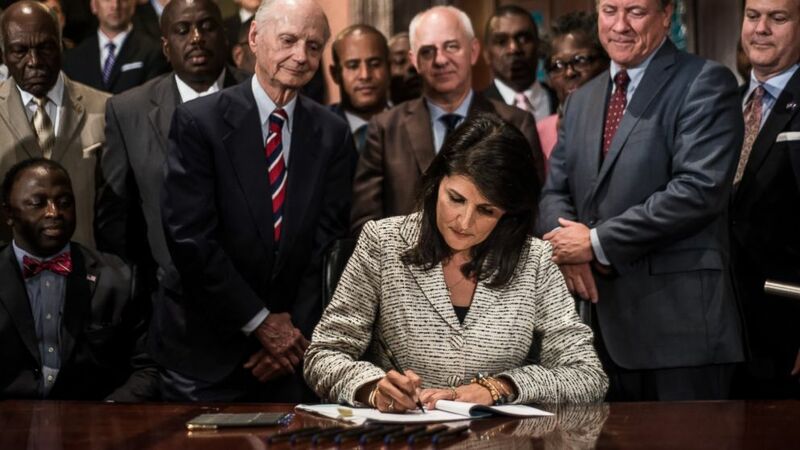 And how the action of nine individuals laid out this long chain of events that forever showed the state of South Carolina what love and forgiveness looks like. She symbolically used nine pens that represented the nine victims of the Charleston shooting on June 17 at Emmanuel AME Church, describing them as “nine amazing people that will forever change South Carolina’s history” and their families would receive the pens. It was thirteen hour legislative debate of the flag voting to remove it. The governor said “the confederate flag is coming off grounds from South Carolina state house by 10am Friday” she also added “it would be lowered with dignity”, while noting the decision is apart of the shared pain over the Charleston shooting and her admiration for the nine victims that welcomed Dylan Roof, a non person of color who did not look like them, into their church only to be shot and killed after praying with him for an hour.